This entry was posted in Case Studies and tagged Case Study on March 12, 2013 by admin. 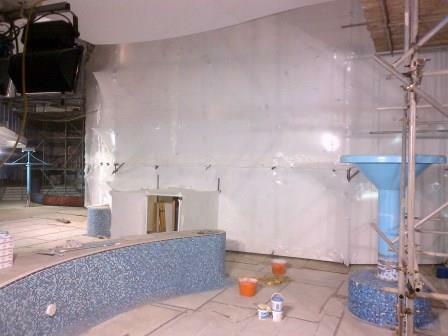 Initial project entailed building a birdcage to the internal of Main Pool Area, with additional works commissioned. Stringent timescales for such a large amount of scaffolding. 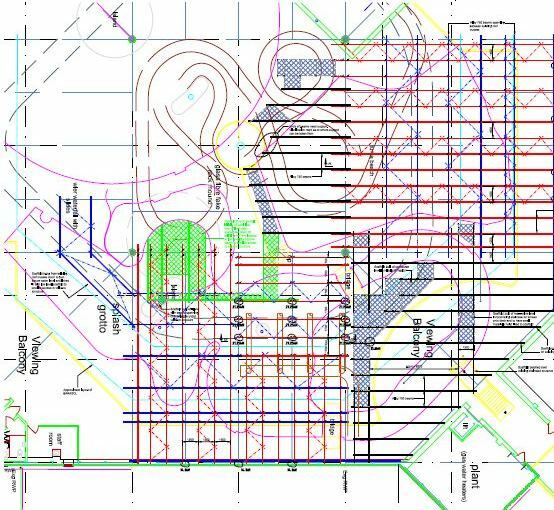 Design of a hanging scaffold in addition to the existing scaffold to allow utilisation by other trades. 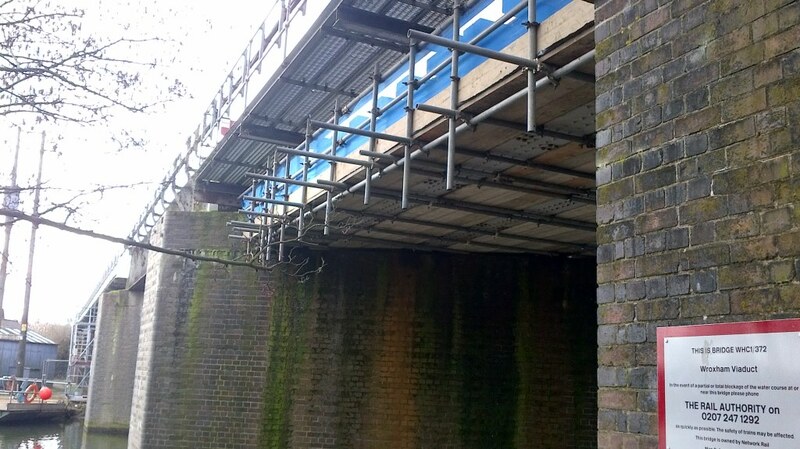 We used vast amounts of hanging scaffolds to ensure sleek operations by all trades involved. 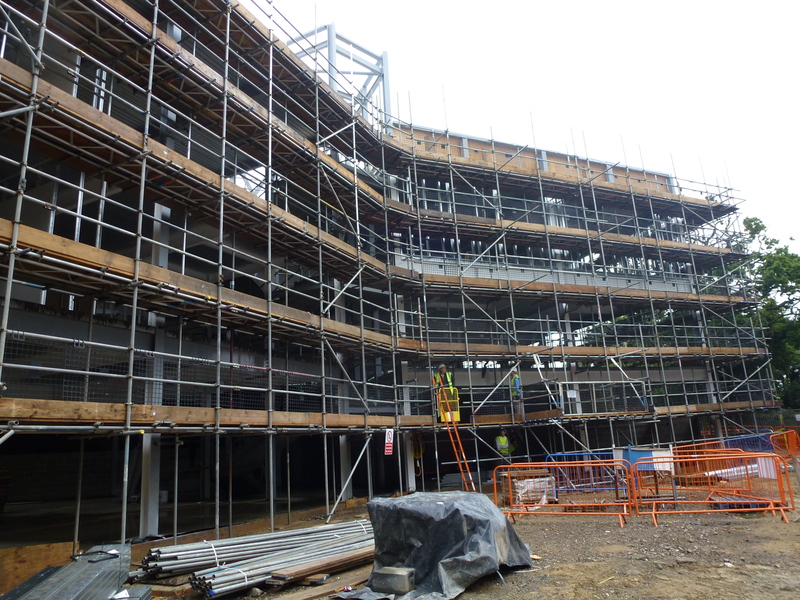 This project meant we had a major interface with other trades during both the erection and dismantle of this scaffold project. This involved many inter-contractual liaisons. A £500m scheme to restore and improve the 160-year old Grade-I listed train station. 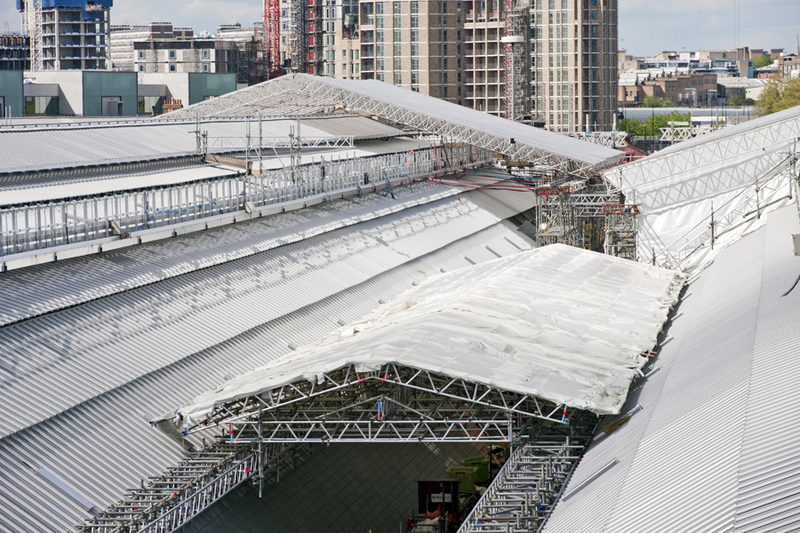 Narford Scaffolding was a key supplier and provided the bespoke scaffolding rig to allow the refurbishment of the main station’s two barrel-shaped roofs. The rolling roof was constructed in a UBIX roof system due to the site constraints. This was the largest rolling roof of its kind in the Europe at the time of construction. Working with heritage infrastructure necessitated that great care had to be taken. Works were carried out 24hrs a day which allowed the more sensitive parts of the operation to be conducted during quiet times. Designs had to be adapted and changed many times to suit particular loadings and station assets that had to be built / considered. The most crucial element to my involvement was placing the correct staff, with suitable skill levels for this sensitive environment. We had a significant recruitment period due to the short notice demands from our client. This led to 140+ personnel on site continuously. Given the accelerated period of the erection and the dismantle, the mass of personnel and the acutely sensitive working environment, there were no major HSE incidents from such an intense scope of works. This entry was posted in Case Studies and tagged public access, rail on March 12, 2013 by admin.